The two younger boys are usually at preschool on the first day of the school term, and Will usually has a pupil free day. 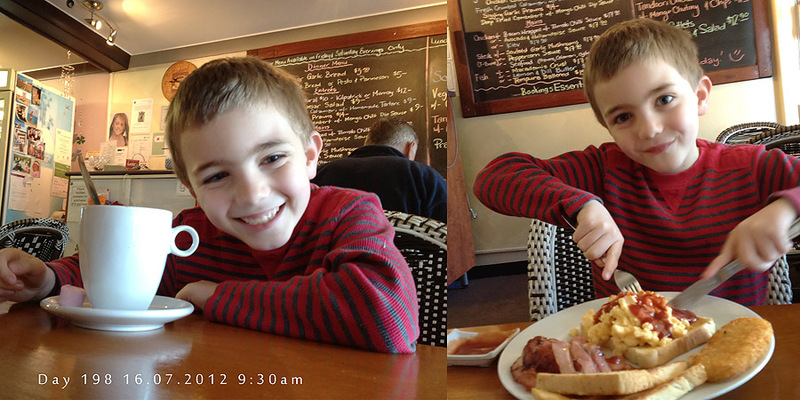 It’s become our little tradition to go out and have a nice big hot breakky together. Mummy and Will’s date day. I always so look forward to it, and so does Will. He orders whatever he wants, usually scrambled eggs and a big mug of Hot White chocolate. I just can’t go past eggs Benedict. Yum!